William (Bill) Helfrecht’s practice primarily focuses on advising and acting for liquidators, professional trustees, trust protectors and high net-worth individuals in relation to non-contentious and contentious trust matters, professional negligence and other tort actions, Company Law matters (including directors’ liability and shareholders’ rights) and all forms of disputes concerning the ownership and occupation of land. William joined the Chambers of the Attorney General of the Cayman Islands as Civil Crown Counsel in January 1994, he was responsible for advising the Cayman Islands Government and the Attorney General on a wide range of contentious and non-contentious civil, commercial and trust matters and appeared in every significant action to which the Attorney General was a party. 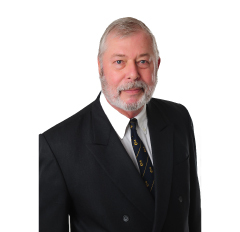 In December 1995, he joined Ian Boxall & Co. (later Boxalls) where he established the firm’s litigation department, becoming a Partner in Boxalls in 1998. Following the merger of Boxalls and Ogier, he became a Senior Counsel in Ogier & Boxalls (later Ogier), leaving in September 2006 to join former Boxalls colleague and partner Sherri Bodden as a Partner in Bodden & Bodden. In March 2013 he joined HSM Chambers as a Partner. He also serves as a taxing officer of the Grand Court of the Cayman Islands.